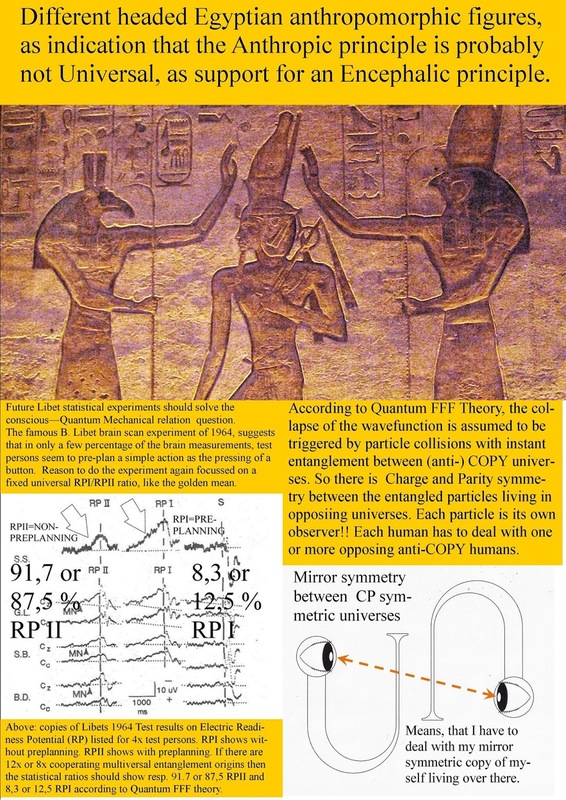 Indications for alien pre-historic new physics influences on earth. 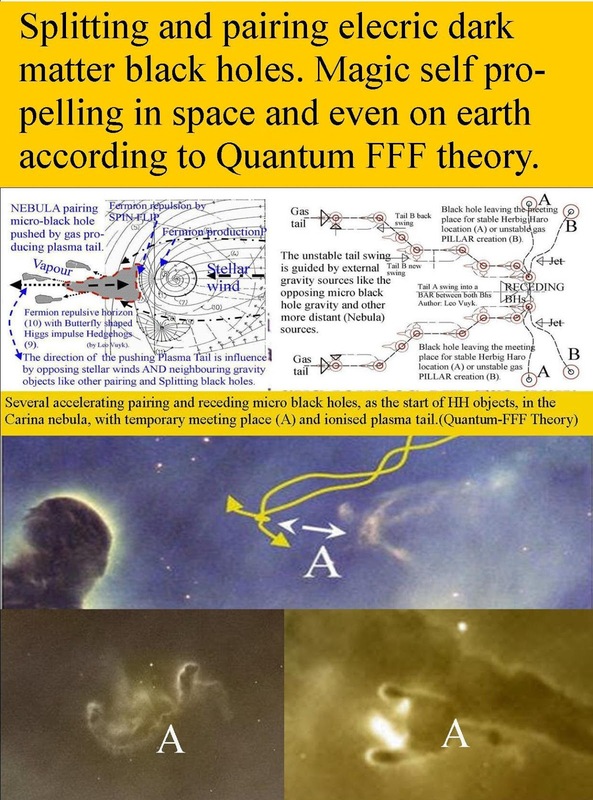 Herbig Haro electron pump by local vacuum polarization. 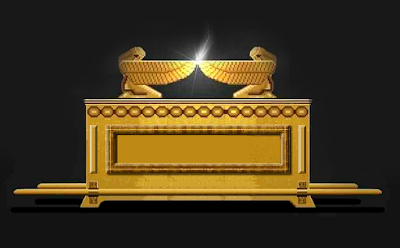 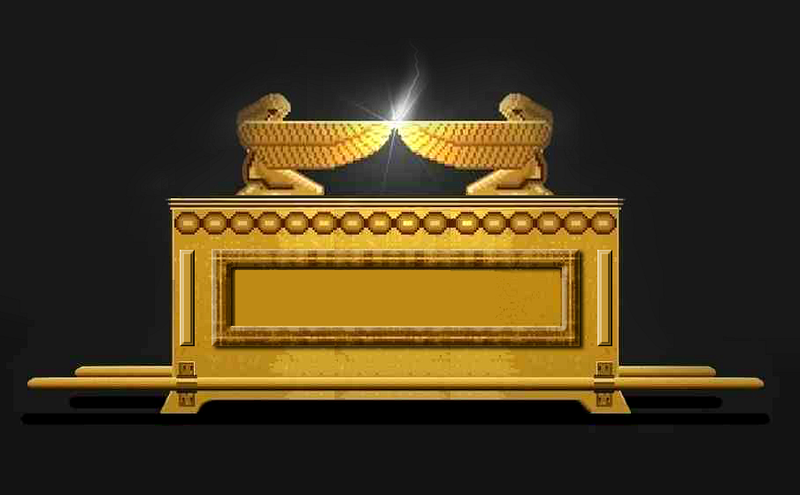 Was the Ark of the covenant and Vajra antenna of alien origin? 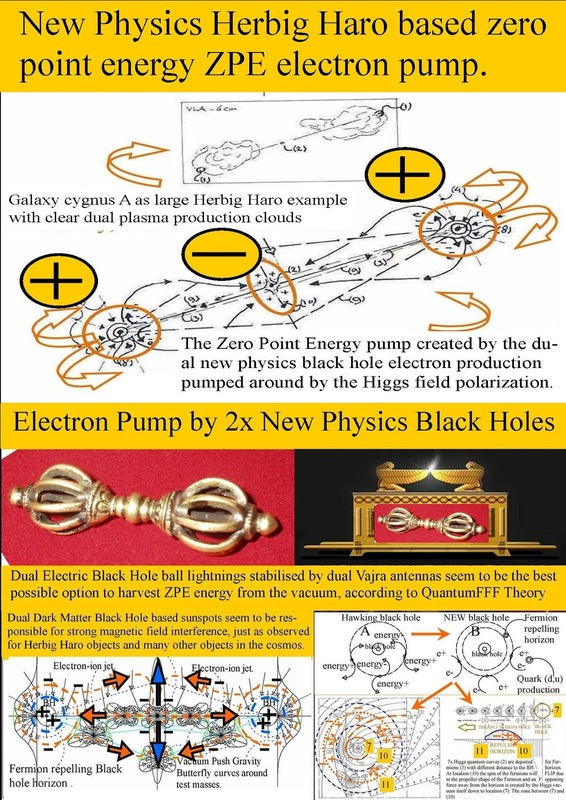 New Physics micro Herbig Haro electron pump. 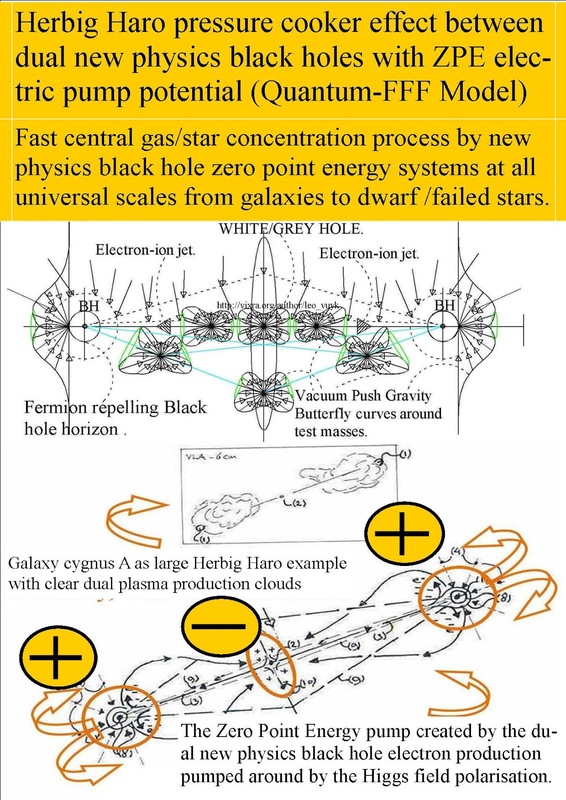 Fast central gas/star concentration process by new physics black hole zero point energy systems at all universal scales from galaxies to dwarf /failed stars. 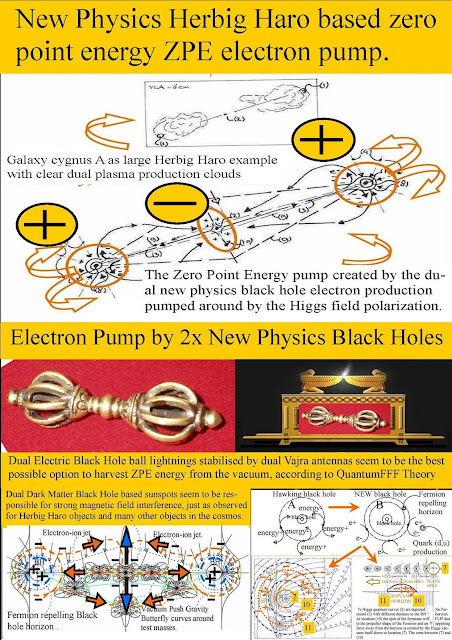 The Zero Point Energy pump created by the dual new physics black hole electron production, pumped around by the local a-symmetric oscillating Higgs field polarization. 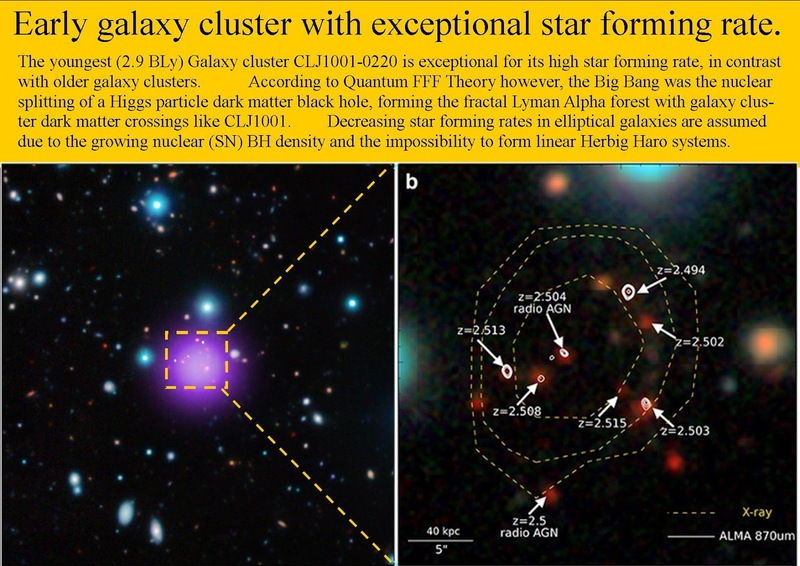 Early galaxy cluster with exceptional star forming rate, a support for the new physics Q-FFF model.. The youngest (2.9 BLy) Galaxy cluster CLJ1001-0220 is exceptional for its high star forming rate, in contrast with older galaxy clusters. 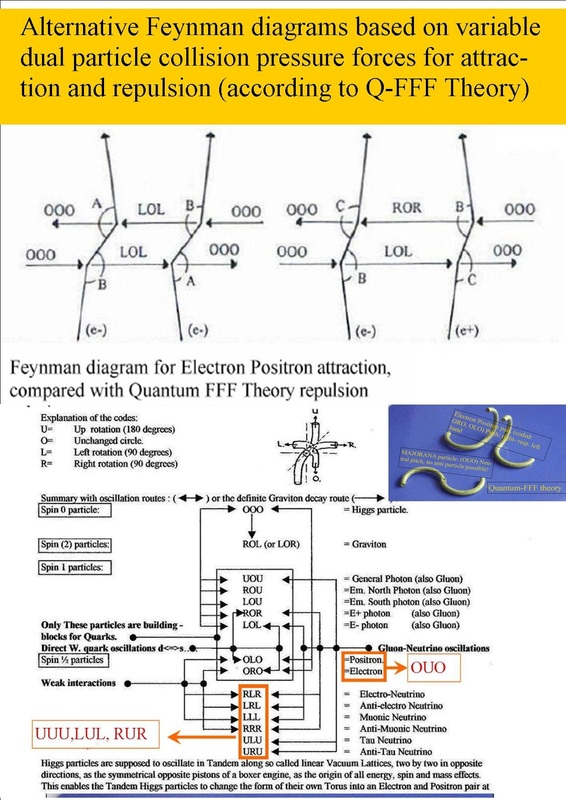 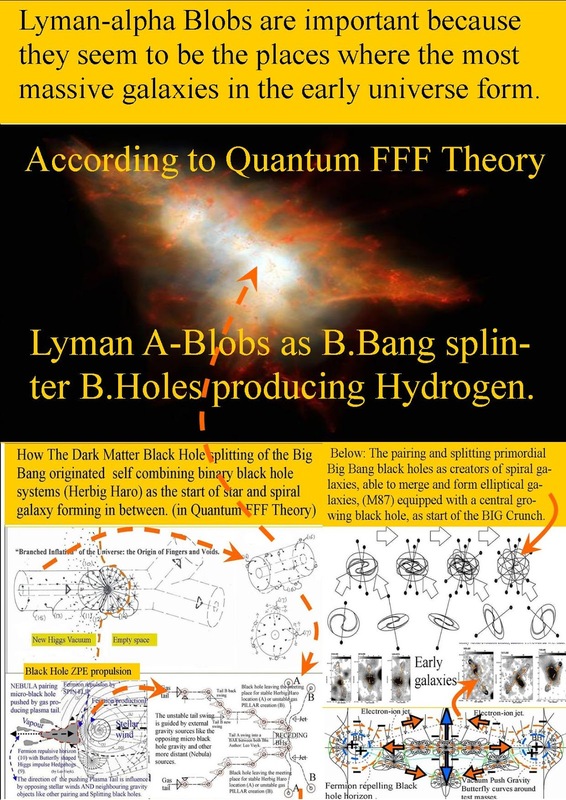 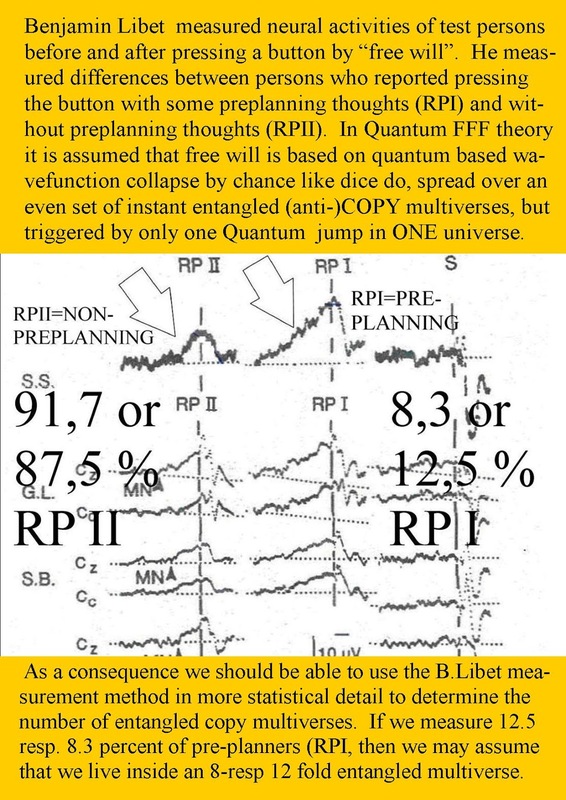 According to Quantum FFF Theory however, the Big Bang was the nuclear splitting of a Higgs particle dark matter black hole, for ming the fractal Lyman Alpha forest with galaxy cluster dark matter crossings (splittings) like CLJ1001. 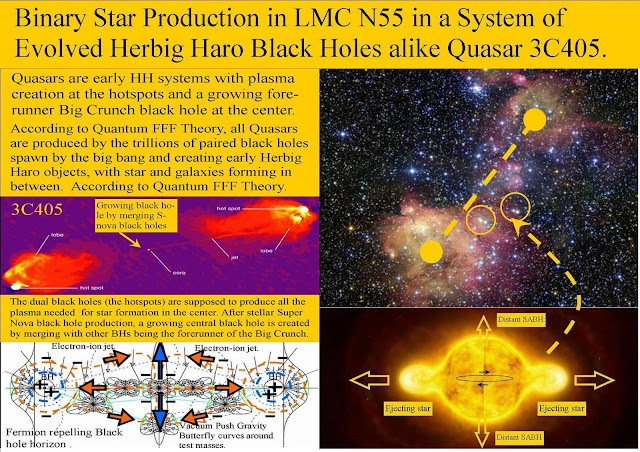 Decreasing star forming rates in elliptical galaxies are assumed to happen due to the growing nuclear (SN) BH density and the impossibility to form linear Herbig Haro systems between dual black hole systems (HH bow shocks). 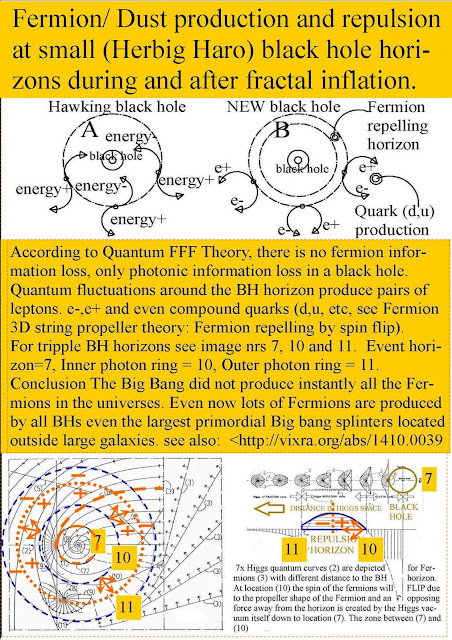 Growing and fermion producing central galaxy black hole in a spiral galaxy. 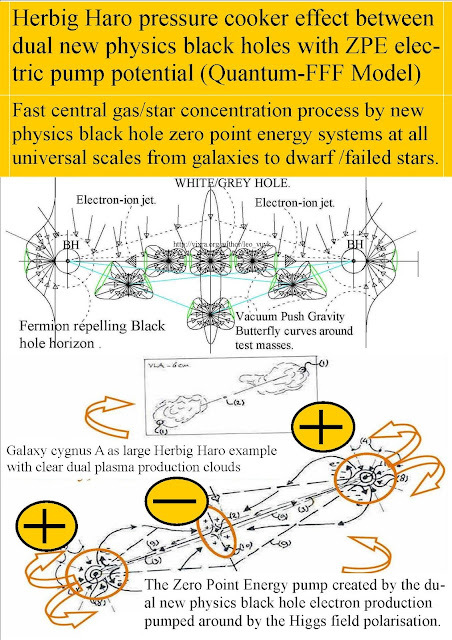 New physics Herbig Haro energy systems acting as Star- galaxy-dwarf pressure cookers and even as gas creators. 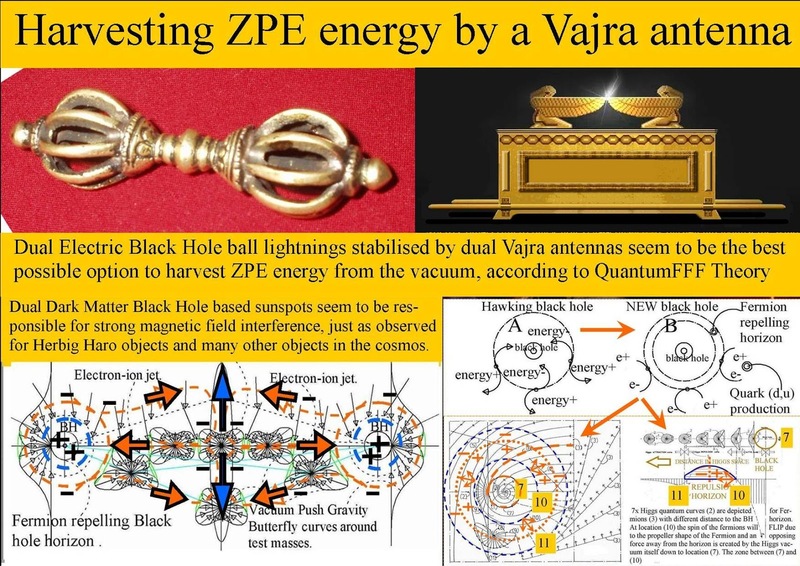 According to Quantum FFF Theory ( Function Follows Form) black holes of all sizes tend to form twin systems called Herbig Haro systems, by a new physics ZPE ( Zero Point Energy) propulsion system. 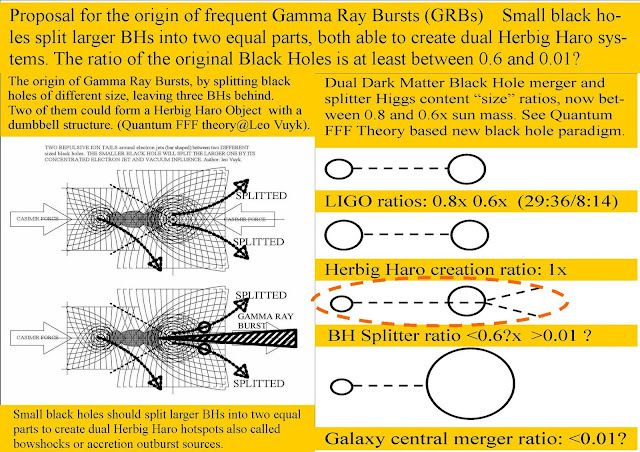 Self propulsion and pairing process of new physics black holes, to form Herbig Haro systems with star ( galaxy or dwarf) formation in between. 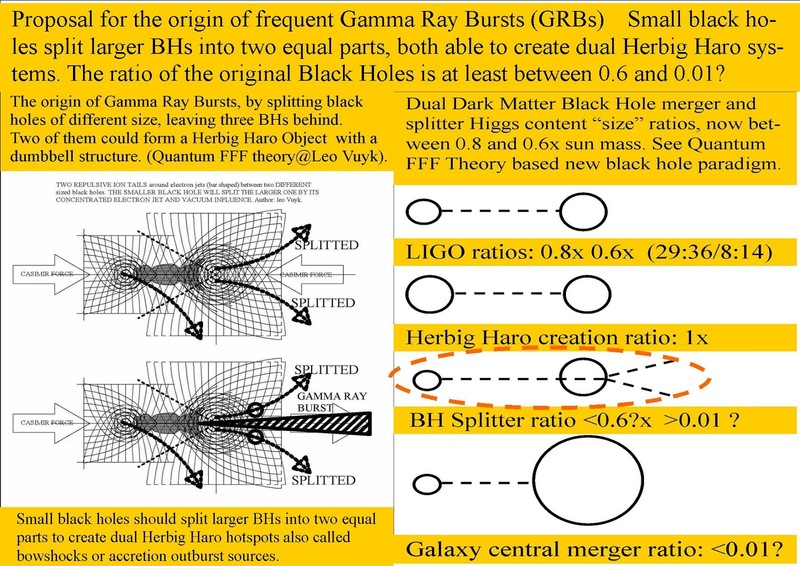 NOT only the dual galaxy anchor black holes produce gas, or all the smaller supernova BHs, even the central merger black hole! 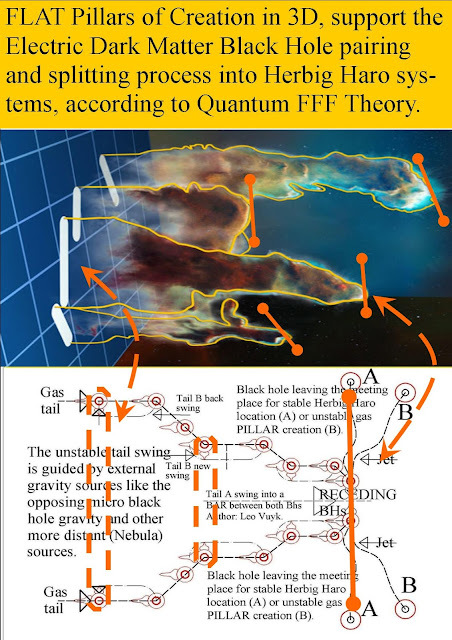 "Black hole hidden within its own exhaust. 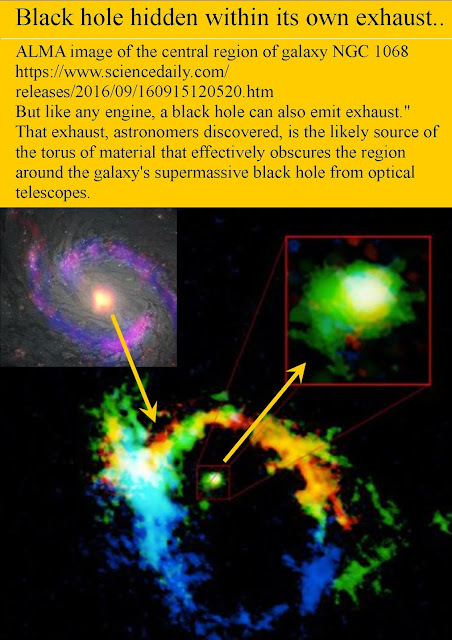 "But like any engine, a black hole can also emit exhaust." That exhaust, astronomers discovered, is the likely source of the torus of material that effectively obscures the region around the galaxy's supermassive black hole from optical telescopes"
New Physics of a Future Black Hole Based Electric Herbig Haro Energy Society. 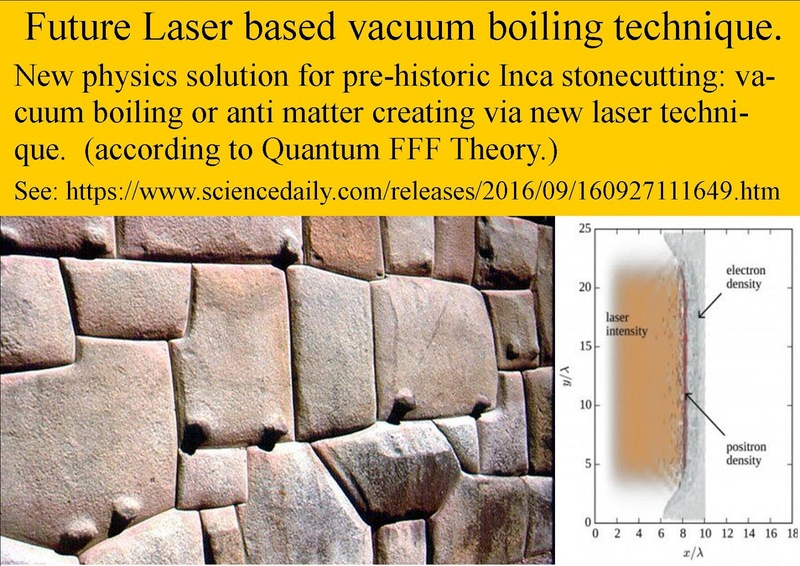 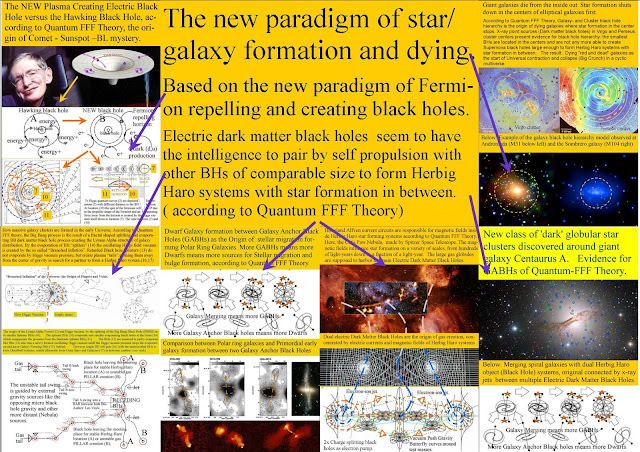 Future Free Energy of New Physics Ball Lightning Black Holes, the Origin of a Super Social Society or the Opposite? Is this our energy future? 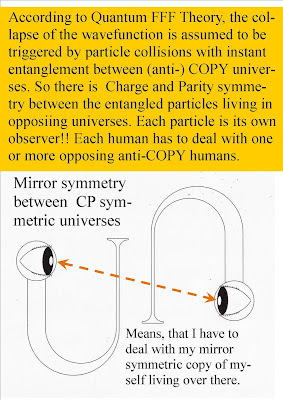 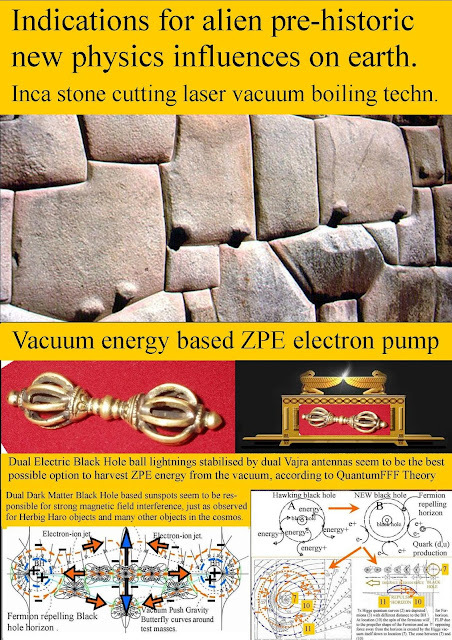 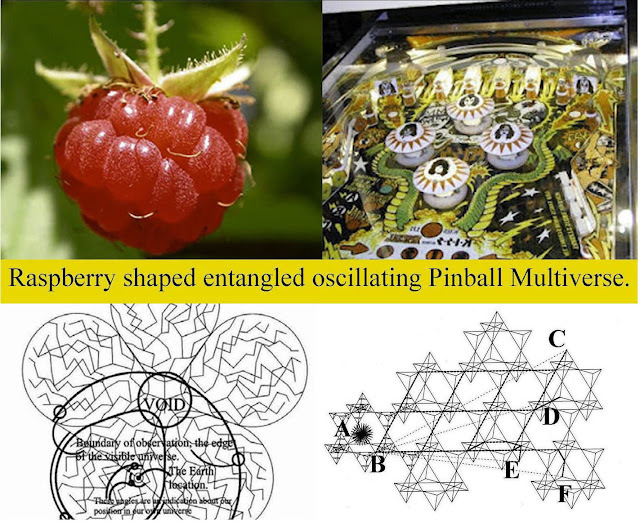 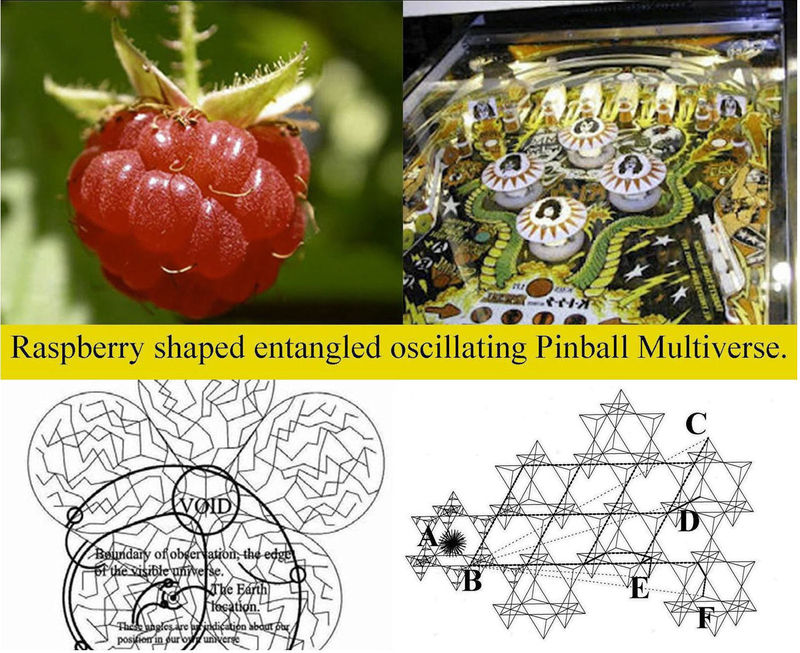 2x Nano Electric Dark Matter Black Holes in a box producing electric potential and Hydrogen? Lyman-alpha Blobs are important because they seem to be the places where the most massive galaxies in the early universe form. 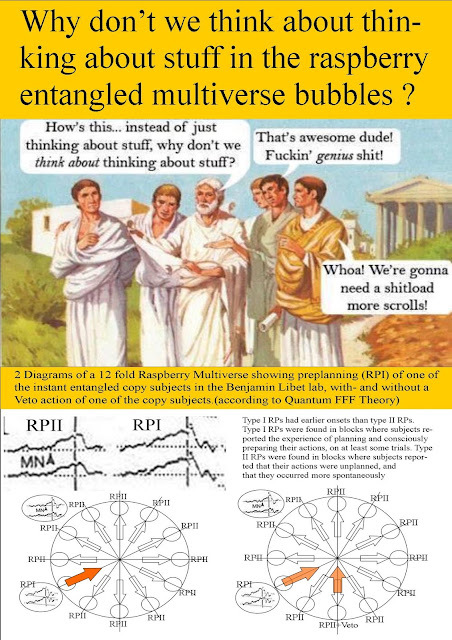 BOK GLOBULE ESO 9934. 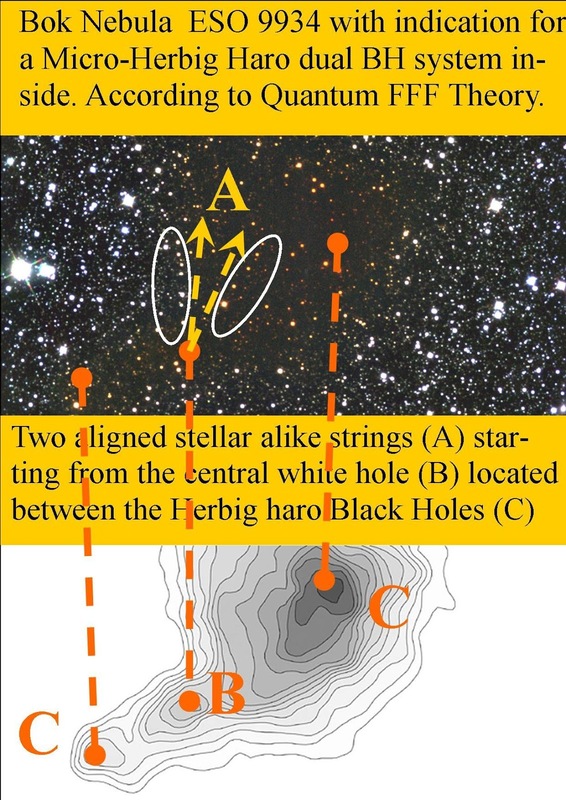 Brown dwarf production (A) between two Herbig H micro black holes. See also: The Origin of Bok Globules and Molecular Clouds, Splitting and Pairing Electric Dark Matter Black Holes. 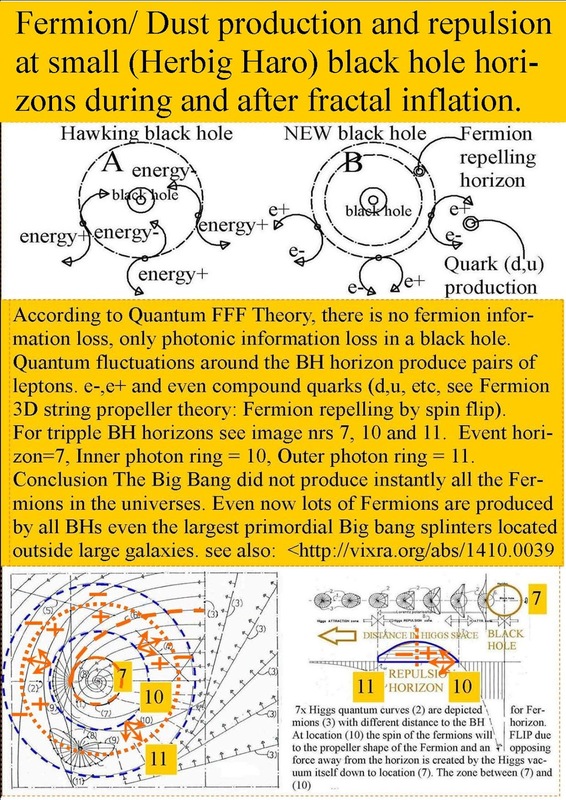 Fermion-Dust-Hydrogen production and repulsion at new physics BH horizons. The reason that there was rapid star and galaxy formation after the BH splitting big bang. 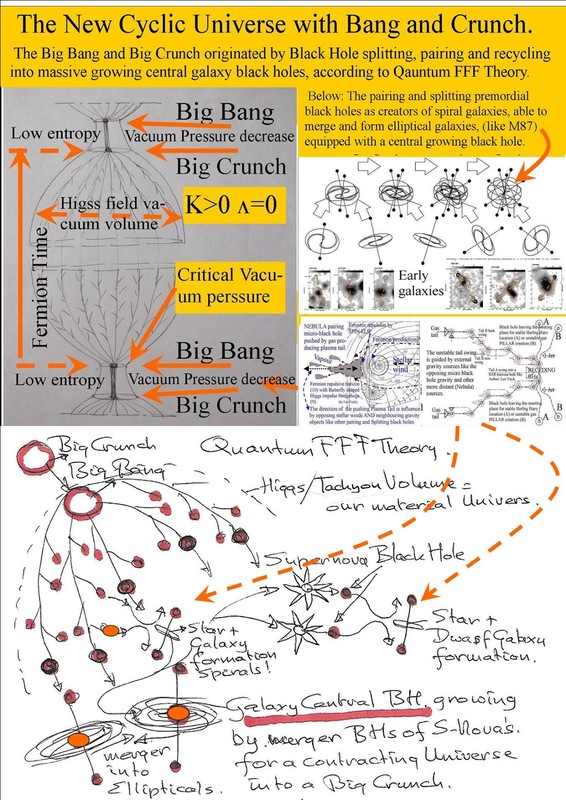 New physics: The Black holes and even the Big Bang was not a singularity but a compact knot of real Higgs field particles. 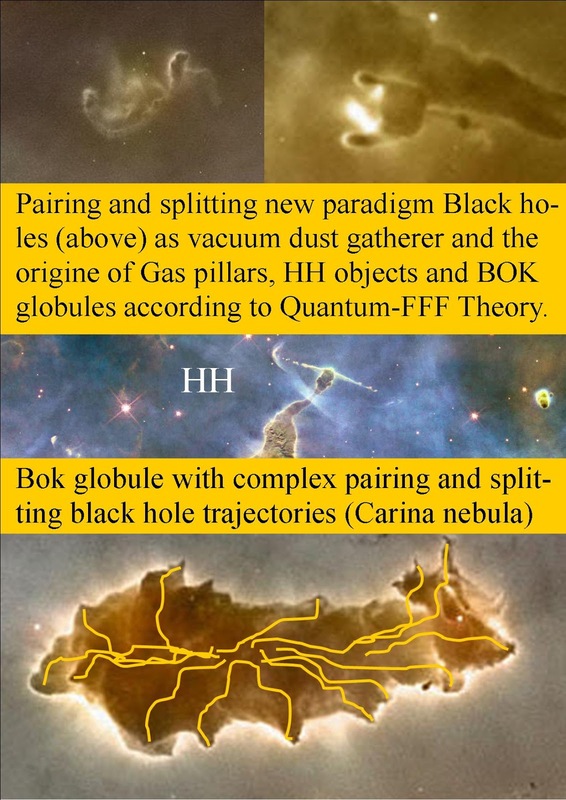 BOK globule formation in the Carina nebula. Flat Galaxy rotation curves originated by (new physics) clumpy dark matter black holes. 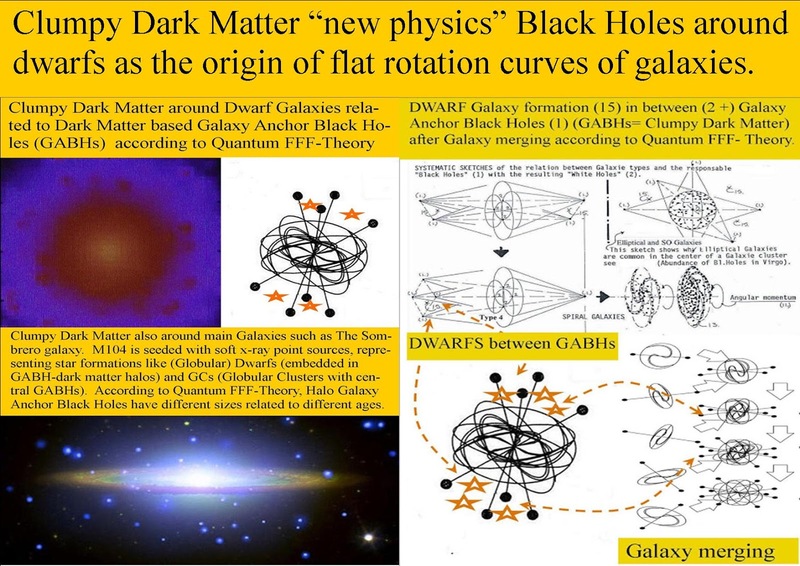 According to standard cosmology, smooth dark matter particle halos around galaxies are responsible for the flat rotation curves of galaxies as observed. However, recent observations conclude that NO evenly spread dark matter particle halos are needed any more, if we account for all the visible mass in galaxies. 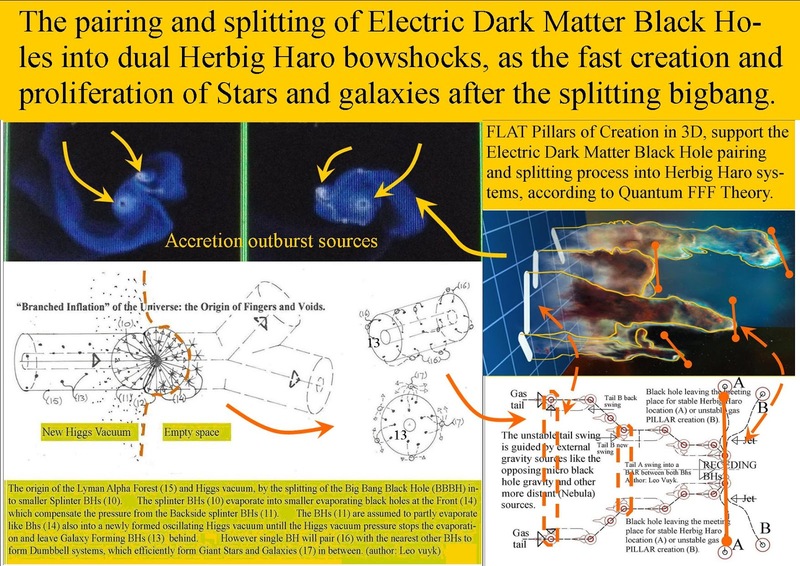 that dark matter is the same as new physics black holes, first present after the black hole splitting big bang as dual BH systems ( also early Herbig Haro systems) to form early galaxies in between. 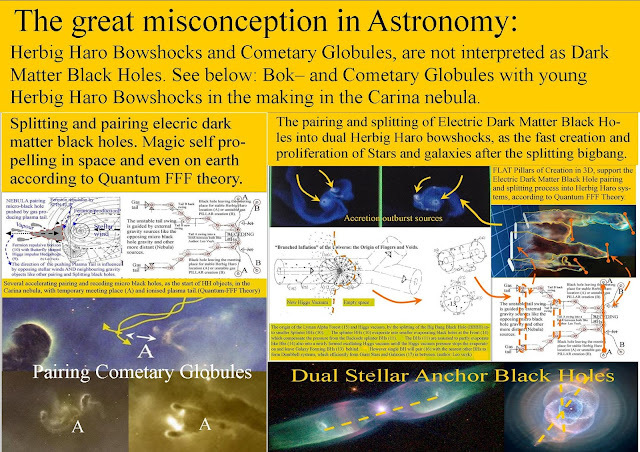 Those dual BHs which I would call Galaxy Anchor black holes. 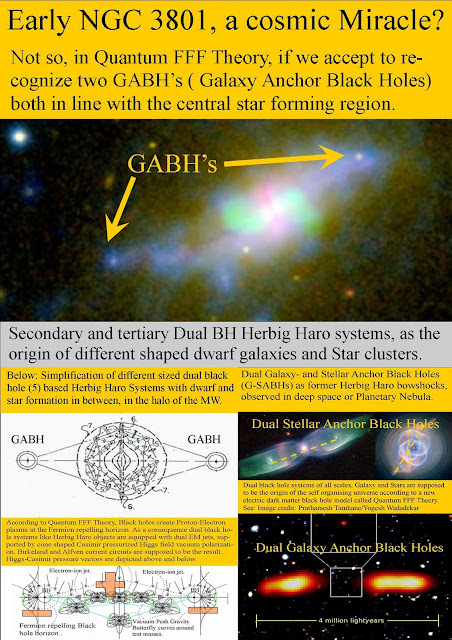 ( GABHs). 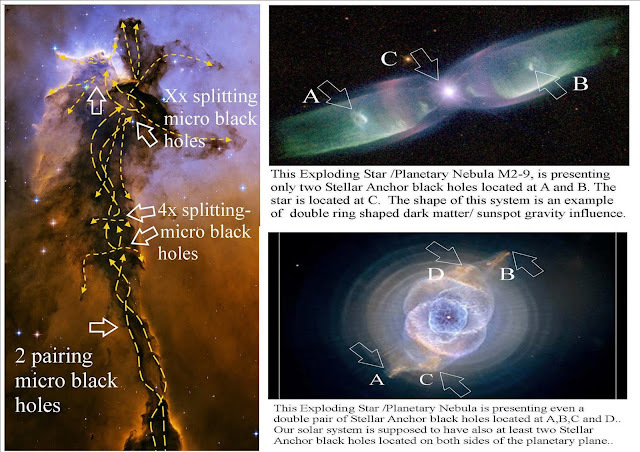 Later after the big bang BHs seem to have produced early Galaxies, new supernova black holes would be able to form smaller star systems in between by so called dual Stellar Anchor BHs. As a consequence, Dark Matter is not evenly spread as dark matter particles in the halos of galaxies. 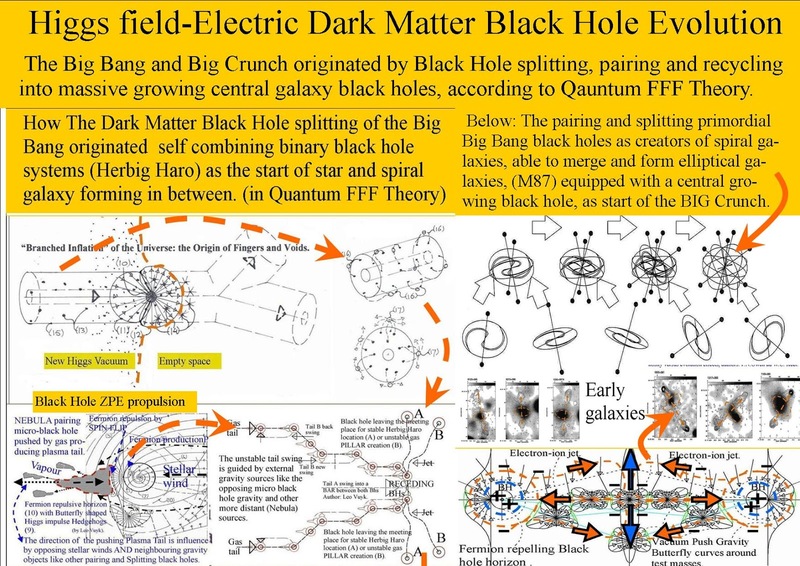 All the dark matter is concentrated around visible matter in clumps. 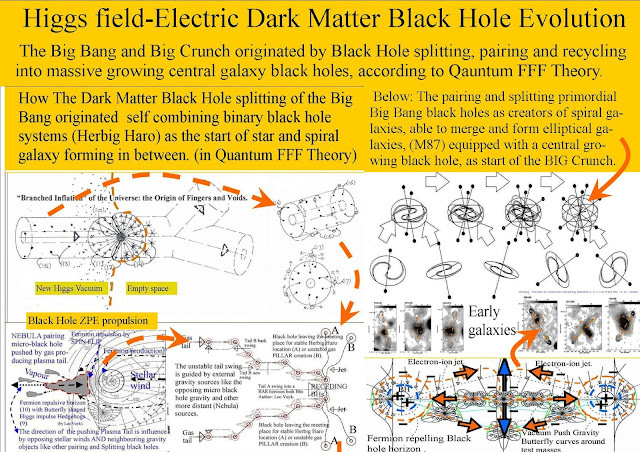 Clumpy Dark Matter around Dwarf Galaxies is supposed to be a support for such an alternative Black Hole theory according to the Quantum Function Follows Form theory. 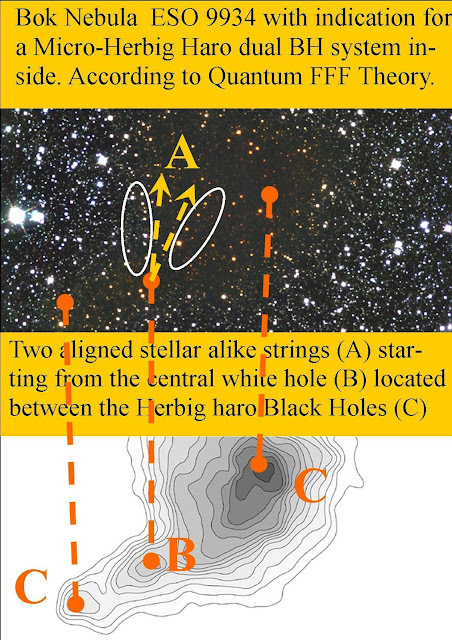 See also: figure 18, stellar anchor black holes. And: Dwarf Galaxies and their relation with Dark Matter based Galaxy Anchor Black Holes GABHs). 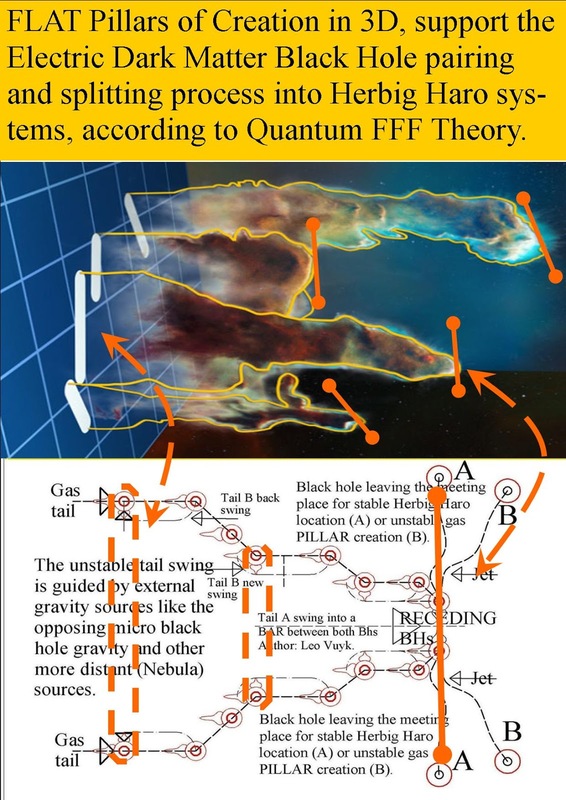 However we also need a New Physics Black Hole theory. Postmodern Deconstruction Architecture of a Rigid Quantum String Knot model. Postmodern deconstruction in architecture is said to be heralded by the return of "wit, (humor) ornament and reference" to architecture in response to the formalism of the International Style of modernism. 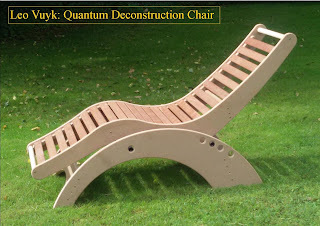 I would describe Postmodern Rigid String Knot Theory, the 3D sub-quantum deconstruction and reconstruction into stringy quantum knots . 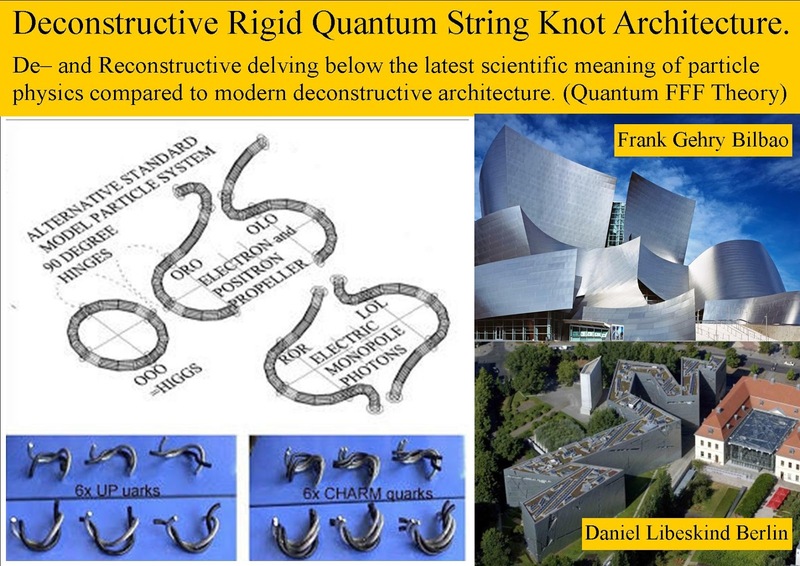 Some of Postmodernism's deconstruction ideas can be observed in architecture. 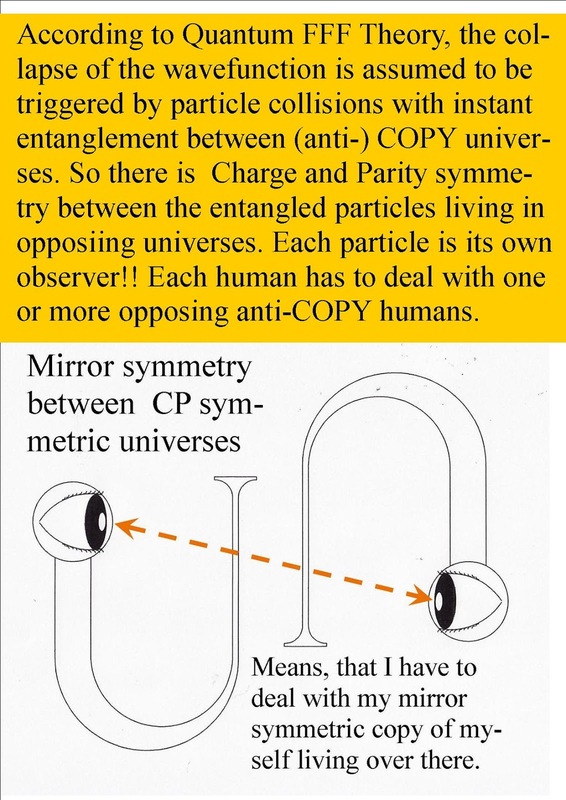 What’s more likely: a potentially infinite number of useless parallel universes, or one perfectly ordinary God? 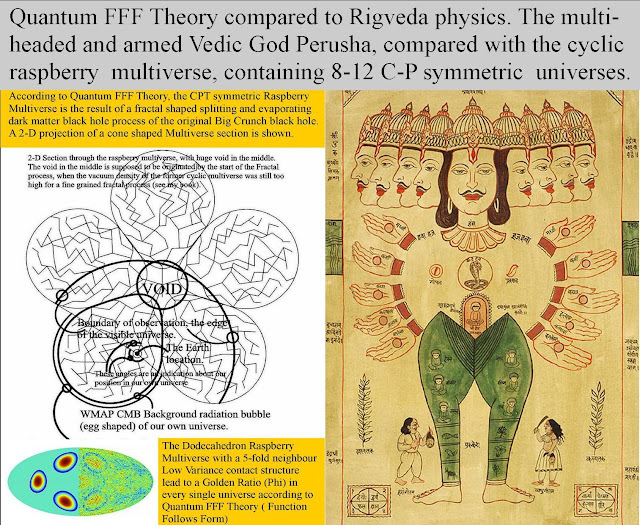 a democratic creation and veto machine: Democratic free will by 8 or 12 instant entangled universes. 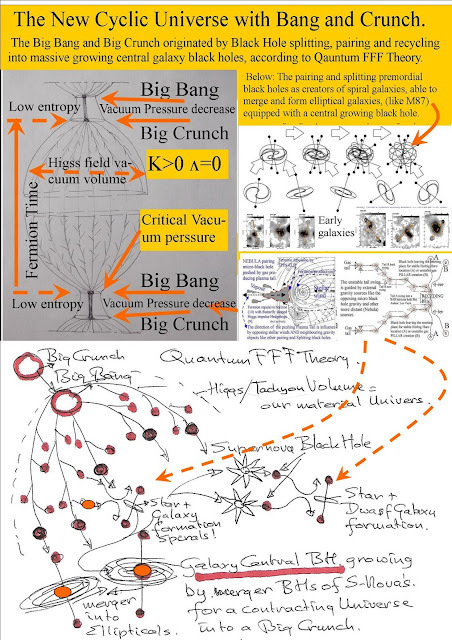 Proposals for Some Unsolved Physics Problems.